Make the most of your week with our top 14 event picks happening in Houston from Monday, February 4 to Sunday, February 10, 2019. Ring in the Year of the Pig with plenty of Lunar New Year festivities; purchase your very own fruit tree at an annual sale; roll up your sleeves for Houstonia‘s Gumbo Smackdown; sing along to a live performance by Fleetwood Mac, Marc Anthony, or Neko Case; and more. Fleetwood Mac in Concert at Toyota Center | Tuesday, February 5 – Enjoy the musical stylings of the legendary, Grammy Award-winning rock group, Fleetwood Mac, as they head to Houston’s Toyota Center. The lineup will feature Stevie Nicks, Mick Fleetwood, John McVie, and Christine McVie, along with newcomers Mike Campbell and Neil Finn. Doors open at 7pm; show at 8pm. Tickets start at $69.50, but you may find better, cheaper, or hard-to-get seats using the TicketNetwork online marketplace. 8pm. Wine Pairing Dinner at Grazia Italian Kitchen – Pearland | Thursday, February 7 – Surprise your S.O. with a romantic, four-course meal with wine pairings at Grazia Italian Kitchen in Pearland. Featuring selections from The Prisoner Wine Company, the dinner benefits Counseling Connections for Change, Inc. Mental Health Services Program. $100. 6pm to 8:30pm. Neko Case in Concert at White Oak Music Hall | Thursday, February 7 – Jam out to a live show by indie rock singer and songwriter Neko Case when she brings her talents to White Oak Music Hall alongside opener Jennifer Castle. Tickets cost $34 in advance; $36 at the door, but you may find cheaper or better seats on TicketNetwork’s resale market. 7pm. 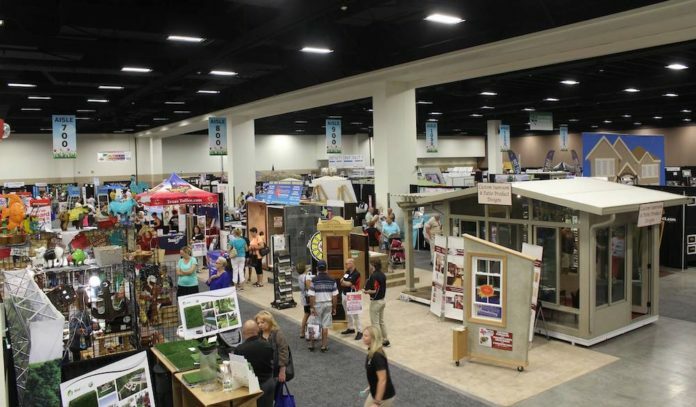 Texas Home & Garden Show at NRG Center | Friday, February 8 to Sunday, February 10 – Gather expert advice, money-saving tips, remodeling ideas, and landscape inspiration at the 33rd annual Texas Home & Garden Show in NRG Center. Tickets for general admission are $10; military and senior tickets are $8; children 14 and under get in free. Use code SPRING365 to receive $2 off admission. Times vary. Monster Jam at NRG Stadium | Saturday, February 9 and Sunday, February 10 – Get revved up for a high-energy showcase of massive trucks crushing, ramming, crashing, and soaring through the air at NRG Center. Tickets start at $15, but you may find cheaper or better seats on the TicketNetwork resale marketplace. Times vary. Midtown Valentine’s Market at Elizabeth Baldwin Park | Saturday, February 9 | No Cover – Feel the love when Midtown Houston hosts their sweet Valentine’s Day Market at Elizabeth Baldwin Park. The pop-up market will feature a hand-picked selection of quality crafts and arts as well as plenty of local vendors selling unique Valentine’s Day gifts. 10am to 2pm. 2019 Lunar New Year Festival at Chinese Community Center | Saturday, February 9 | FREE – Browse food vendors, informational booths, cultural performances, family-friendly crafts and more at the annual Lunar New Year Festival, presented by the Chinese Community Center. 10am to 4pm. 13th Annual Rory Miggins Irish Music Festival & Stew Cook-Off at Lucky’s Pub | Saturday, February 9 – Cheer on a lineup of teams as they cook up a variety of Irish dishes in the 13th annual Rory Miggins Irish Music Festival & Stew Cook-Off at Lucky’s Pub. Competition categories include Irish coffee, Irish dessert, open Irish dish, chicken, Irish stew, chili, and best booth. $10; children 12 and under get in free. 11am to 6pm. Houstonia Magazine’s 6th Annual Gumbo Smackdown | Saturday, February 9 – Chow down on loads of spicy gumbo when Houstonia Magazine returns to Sugar Land Town Square for its sixth annual Gumbo Smackdown. Festival-goers can enjoy bottomless drinks, entertainment, plenty of food, and an awards ceremony to announce the People’s and Judges’ Choice trophies. Tickets cost $45 for ages 21 and up; $20 for ages 13 to 20; free for kids 12 and under. Noon to 4pm. Live Thoroughbred and Chihuahua Races at Sam Houston Race Park | Saturday, February 9 – Experience the thrill of live thoroughbred racing with a night out at Sam Houston Race Park. In between horse races, you can cheer on a lineup of feisty chihuahuas as they take to the track for a supplementary race. Tickets for general admission are $8; $5 for children under 13. 5:30pm. Houston Rockets vs. Oklahoma City Thunder at Toyota Center | Saturday, February 9 – Cheer loud for the Rockets when they hit the court to play the Thunder at Toyota Center. Tickets start at $42, but you may find cheaper or better seats on TicketNetwork’s resale site. 7:30pm. Beer & Cheese Tasting at Saint Arnold Brew Co | Sunday, February 10 – Trade in wine and chocolate for beer and cheese this Valentine’s Day during this special event hosted by Saint Arnold Brew Co. Expect to taste handcrafted beers paired with Texas-made cheeses selected by the Houston Dairymaids. $35. 1pm to 3pm. Marc Anthony in Concert at Toyota Center | Sunday, February 10 – Sing and dance along to a live show by two-time Grammy Award-winner and five-time Latin Grammy Award winner Marc Anthony at Toyota Center in Downtown. Tickets start at $61, but you may find cheaper or better seats on TicketNetwork’s resale market. 7pm. Vince Staples in Concert at House of Blues | Sunday, February 10 – Get down to music by hip hop artist Vince Staples when he performs his “Smile, You’re on Camera Tour” at House of Blues. Tickets start at $35, but you may find cheaper or better seats on TicketNetwork’s resale market. 7pm.